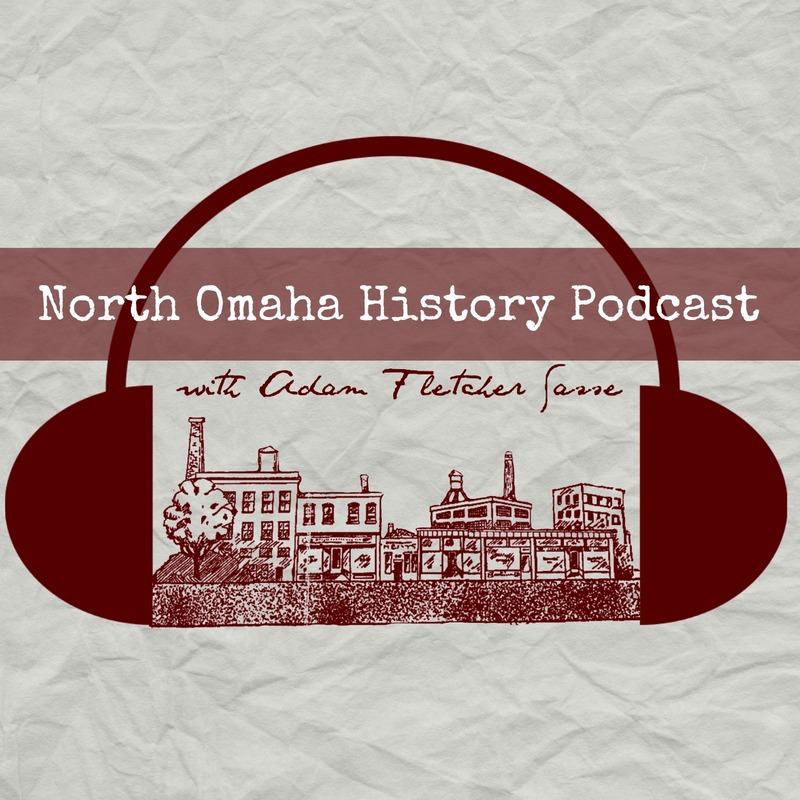 Adam’s Note: This is Chapter 10 in the series on NorthOmahaHistory.com called Framed: J. Edgar Hoover, COINTELPRO and the Omaha Two Story. It was written by Michael Richardson. Learn more here. Michael Lamson and James Sledge were dispatched to investigate and another cruiser with John Toay and John Tess was sent in as a backup car. Larry Minard, Sr. and partner Dennis Moran, patrolling nearby, also rushed to the scene, as did two other officers, Kenneth Tworek and Paul Rust. Instead of a screaming woman, the eight officers who converged on Ohio Street only found an empty house and a suitcase inside the front doorway. Moran and Minard were first at the scene. Minard checked behind 2865 Ohio and the back yard of 2867 Ohio before entering the front door, stepping past the suitcase along with Tess, Sledge, Tworek and Lamson. Finding nobody inside, Minard and Tess started for the front door. Sledge, Lamson and Tworek were in the kitchen when a tremendous, blinding flash and deafening blast shook the silent neighborhood and ripped through the walls of the vacant house. The officers in the kitchen broke down the back door in the darkness to escape choking dust and smoke. These are photos showing 2867 Ohio Street after a bombing on August 1970. Graphic content included showing the body of a police officer killed by the explosion. Lieutenant James Perry assigned Sergeants Jerald Volcek and Robert Pfeffer to the murder investigation. At the scene, the two detectives began searching for clues. Deputy Chief Glen Gates and Captain Bruce Hartford soon arrived. Acting Coroner George Sullivan arrived at the bombed dwelling. A slight drizzle began to fall at this time. There were creaking noises heard from the remains of the roof, as though the roof of the house was settling. At 3:50 a.m., Minard’s body was removed by ambulance personnel. While a tarp was spread at the ruined house, Central Headquarters put out a call to off-duty crime scene technicians. During a neighborhood canvas the neighbors reported one-by-one hearing the explosion but seeing nothing out of the ordinary. Dawn broke over the city to an overcast drizzle on a gray Monday morning. The weather matched the mood in the stunned, saddened city. First light brought the start of what would be a day-long procession of motorists. A crowd of neighborhood onlookers was also on hand much of the day as people spoke in hushed tones and muted voices. With daylight and an end to the rain, crime scene technicians began sifting through debris. Sergeant Richard Dragoun was assigned to the Douglas County Hospital morgue for the gruesome task of gathering evidence at Larry Minard’s autopsy. At Central Headquarters, a hastily convened meeting of a multi-agency task force called Domino was called to order. Principals present were agents from the Federal Bureau of Investigation and the Alcohol, Tobacco & Firearms Division, detectives from the Douglas County Sheriff’s office and the Omaha Police Department. Governor Norbert Tiemann also ordered two Nebraska State Patrol troopers to work the case. Moore believed the tip may have been a ruse by the FBI to throw off ATF agents competing to crack the case. The longstanding rivalry between the two federal police agencies was intense and was part of a nation-wide turf battle over jurisdiction of firearm and explosives crimes. Paul Young wasted no time in privately talking to Glen Gates, who was in charge of the police while Chief Richard Anderson was out of town. According to a confidential FBI memorandum, Young and Gates discussed a piece of crucial evidence, the recorded voice of the anonymous caller captured by the 911 system. The search for truth was over. In the afternoon, after evidence started arriving at Central Headquarters, reporters were barred from the fourth floor squad room where they usually mingled with police. On the streets, a police sweep to obtain information began as cruisers combed the Near North Side stopping and questioning people. [xi] Although no one was arrested for the bombing, suspects abounded as ATF agents launched a four-state investigation based in Omaha. U. S. Attorney Richard Dier refused to prosecute twenty-two individuals, including Mondo and Ed Poindexter, for their purported role in a bombing conspiracy. [xiii] OPD Supplementary Report, Trial Record 001259-001260, August 17, 1970. Robert Pfeffer’s account of beginning the crime scene search with police command officers and ATF agents conflicts with the report of Identification Technician Bolan. Pfeffer and others apparently examined the blast site for an hour and a half before the crime scene technicians began the formal search. [xiv] OPD Supplementary Report,Trial Record 001215, August 17, 1970. Component Concepts Corporation was a black-owned defense subcontractor located in the Near North Side that was bombed July 2, 1970, a crime that remains unsolved. [xvi] Mondo’s FBI file, James Sizoo to Charles Brennan letter, p. 1, August 17, 1970. [xviii] Paul Young to J. Edgar Hoover, August 17, 1970, Post-Trial Exhibit 52. A later FBI memorandum, without the name redacted, revealed Glen Gates as the person that Paul Young spoke with about the 911 tape. In the document provided to defense attorneys, the name of Gates was redacted. The murder of Larry Minard, Sr. remains a tragedy, a wound that will not heal. Minard’s death was a terrible crime that deserves punishment…by the guilty. Unfortunately, the hidden agenda of the time was not about justice but about ending the Black Panthers. The murder investigation should be reopened. Neither Mondo nor Ed Poindexter made the 911 call, and neither did Duane Peak. The anonymous 911 caller got away with murder.